Hi Everyone! 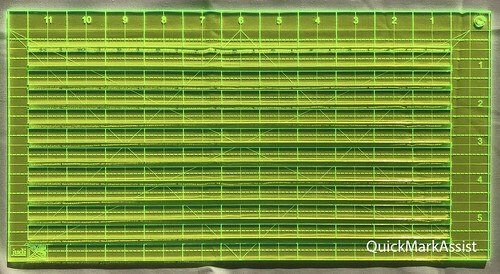 I am excited to share with you my QuickMarkAssist Ruler which is designed to compliment - or assist, the QuickMarkRuler. The difference between this ruler and the QuickMark ruler is that there are 1/2" cut outs, the ruler is 6 1/2" x 12 1/2" x 1/8" - so it is for marking only. 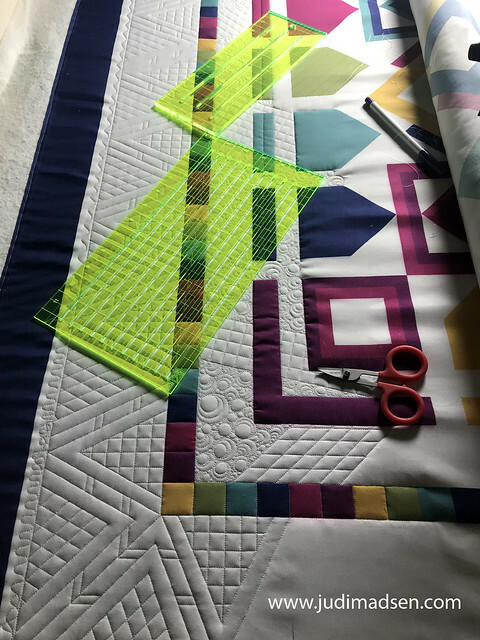 It is not to be used with the quilting, but will help you tremendously when you are marking your quilts. This is a time saver for me, you know how I love marking my quilt tops. I have been working on my Celebrate quilt panel, using both the QuickMarkAssist and the QuickMarkRuler. 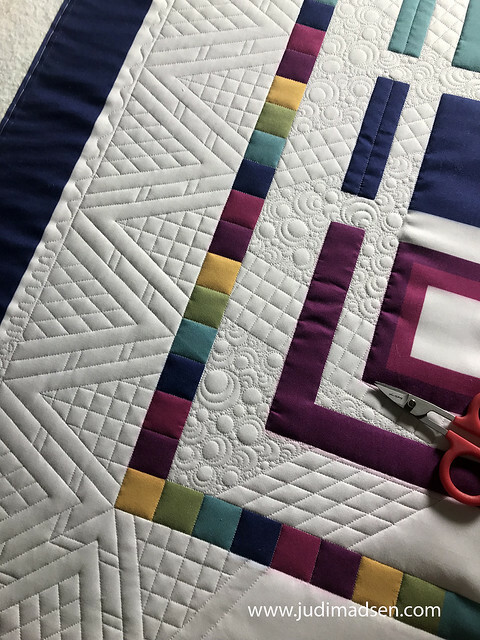 I have been having a lot of fun using the 1/2" lines in the QuickMarkAssist to come up with some fun and modern quilting designs. 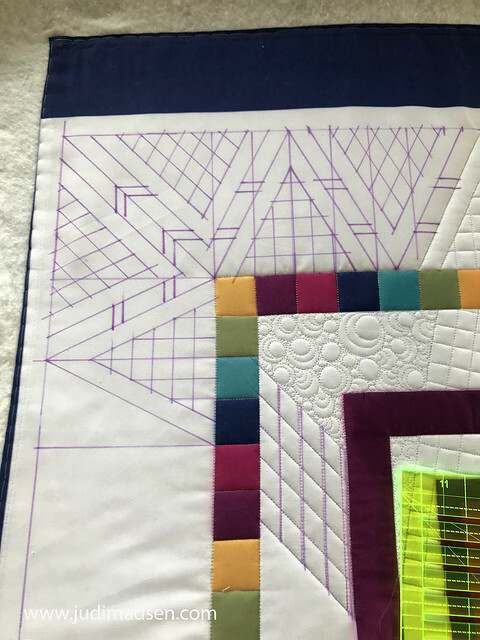 I have been using my favorite purple marker with the QuickMarkAssist to draw out my designs on the quilt. I cannot wait to get this one finished! It really is so great to have more lines to be able to mark everything at once - plus the neon green color of the ruler helps so much! The quilting is turning out so beautifully! I cannot wait to share the entire quilt when I'm finished. In the meantime, be sure to pre-order your own QuickMarkAssist - they will start to ship after the Christmas Holiday.